THE BEADY EYE LOOKS AT THE FORTHCOMING IRISH CELEBRATION OF THE 1916 EASTER RISING. Posted by bobdillon33@gmail.com in History., Unanswered Questions. This could be a tricky post in so far that there is no intention or wish on my part to offend any reader. I must declare my self as a nationalist married to the most exquisite English Lady. I also wish to state that I do not and never will condone violence as a means to an end. Indeed those that planted explosive devices and walked away not knowing who was going to die were and are more repugnant than the Jihadis who at least blow themselves up. It seems appropriate because this will be the last post for a month or so that I return to my roots and aspiration to see my country united. There is no need here to lament the long and painful history of Ireland. As a myth, the Easter Rising no longer exerts power over the collective Irish psyche in the way it once did. Now, as the Troubles are fading into history, the tumultuous events of Easter 1916 are about to be remembered. The ashes of the past will certainly be raked over again this Easter in Ireland and, no doubt, greeted with bemused indifference in the UK, where there seems to be little public interest in Britain’s long and often brutal role in shaping its neighbour’s contested history and divided culture. For me it is not whether or not Ireland will be united, only a case of when. We have waited about 8 centuries so another few generations is a dawdle. As a military adventure the Rising was, of course, a dismal failure but it was the first major armed uprising against the British empire in the 20th century. It was and is being marked 100 years later in Ireland as the turning point for Irish freedom from London rule. It may well take another centenary to come and go before the turbulent spirit of the “unquiet founders” is stilled by history and for their heirs to accept that, as Yeats put it, it is “enough to know they dreamed and are dead”. So why is this relatively minor disturbance so potent? Precisely because it is so hard to say what it means. It is one of those events that has a protean quality – it continually changes its shape. The most famous lines about the Rising are WB Yeats’s from Easter 1916: All changed, changed utterly / A Terrible beauty is born. But in fact the terrible beauty was not just born: it remains alive. And, like any living thing, it alters over time. Among the things that change utterly and constantly is the meaning of the Rising itself. It was a little sideshow to the cataclysmic main event: the first world war. Even in Irish terms, it was, objectively, quite marginal. As a historical fact, the Rising seems quite small and self-contained. About 1,600 men and women took some part in the rebellion during Easter week of 1916. By contrast, about a quarter of a million Irishmen fought in the Great War. The 1916 rebellion, was organised by a band of poets, Irish language enthusiasts, former British soldiers and a revolutionary Marxist, capturing international headlines when it took place while Britain’s armed forces, including tens of thousands of Irishmen, were still mired in the first world war. During the Rising 485 men, women and children (mostly civilians) died in Dublin. In the same week 570 Irish soldiers were killed in a single horrific German gas attack at Hulluch on the western front – an event that is scarcely remembered. 1916 was not just about the Easter Rising, but also landmarks such as the Battle of the Somme in July – an event sacred to unionists, given the large number of casualties suffered by the 36th Ulster Division. The Rising is just a drop in an ocean of blood. The Republic of Ireland, Northern Ireland and (though this is conveniently ignored) the current United Kingdom, which changed radically when most of Ireland won its independence. Yet the struggle has always been to decide whether it is history or current affairs, something that has happened or a harbinger of something yet to happen, done and dusted or unfinished business. Most unionists look back at the Easter Rising as a stab in the back, given that Britain was embroiled in the first world war and the rebels were backed by the Germans. It has often been said that every Englishman should know about Irish history and every Irishman should ignore it. I don’t know about the latter, but I certainly agree with the former. The Brits made the mistake of murdering the leaders in 1916 and thus provoked the Irish people to join the republican cause. 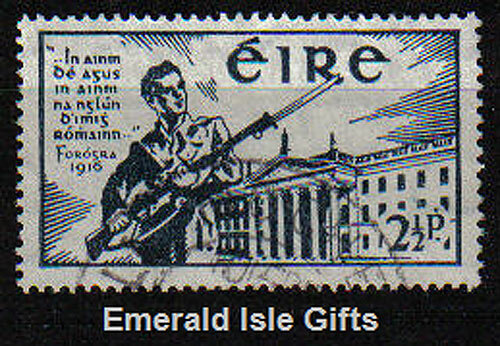 The executions of the rebel leaders, the imposition of conscription and British military actions – including the deployment of the semi-irregular Black and Tans – pushed the majority of the population in the 26 counties of what is now the Irish Republic into the arms of the IRA and Sinn Féin. When the British authorities executed 15 rebel leaders during May 1916 (a 16th, Sir Roger Casement, was hanged in London in August) the public mood began to change. The rebels, instead of being dangerous lunatics, became martyrs. England tried a similar tactic of repression in 1971 by imprisoning people without trial and then murdering 13 people in Derry. Again, what this did was swell the ranks of the nascent IRA. On Easter Sunday 1966 Paisley organised a counter-demonstration against the 50th anniversary of the Rising and this time 5,000 people turned up. It was Paisley’s first major protest and from then on he built his power base. Without the jingoism of Easter 1966, Paisley might have been relegated to the sidelines and, as I have always argued, without the rise of Paisley and his opposition to reforms inside Northern Ireland there would have been no Troubles. The 50th anniversary provided a major step up for Paisley and Paisleyism. The events of 1968 and all that flowed from them are a reminder of how potent that moment was and how quickly its cause can be reinvigorated. August 1969 was the most sustained period of political violence in Ireland since the 1920s, and it changed everything, not least because it left many fearful Northern Irish Catholics asking a question that reverberated back though Irish history: who will protect us if the state will not? When the war of independence ended, Ireland was partitioned, the province of Northern Ireland established and an even more bloody civil war was fought between the majority of those who backed that Anglo-Irish Treaty of 1921 and the diehards who opposed it. To day Northern Ireland is officially British, instinctively Irish. Enda Kenny, the current taoiseach, will take the salute as thousands of troops file past the GPO. His party Fine Gael is directly descended from Michael Collins and his faction of the IRA, which accepted the 1921 treaty and which, ironically, for decades since, has been accused by generations of republicans of betraying the legacy of 1916. I am sure that the Nation will like it did when England played on the Green in Croke Park show the World that there is dignity in a Deeply rooted History.